I feel like my quiff is back to its best! Here’s how I’ve used some of my favourite products to create a quiff hairstyle that will last all day. Starting with clean and towel dry hair, I dispense a small (roughly egg-size in diameter) amount of mousse into my hand. I work the mousse through my hair – root to tip. 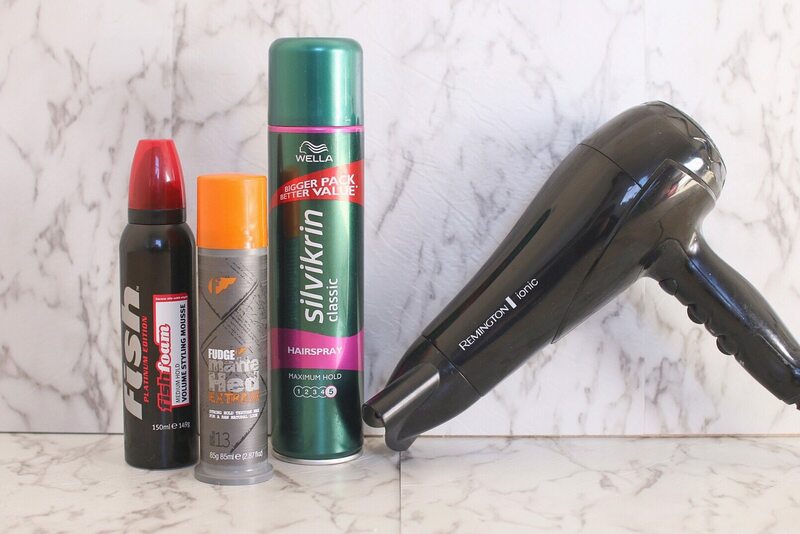 Using a medium heat, fast speed hair dryer, I start to to build volume into the hair. Working my hands through the hair, I tease the hair up and over in the direction I want it to go. Once dry, I use a pea-sized amount of the styling paste. Skimming at the surface of my hair, I pick up any flayaways and add a little more definition to the hair. Once happy, I spray a light mist of hairspray all over the style. It’s important not to touch you hair until it’s dry or it will look crispy.